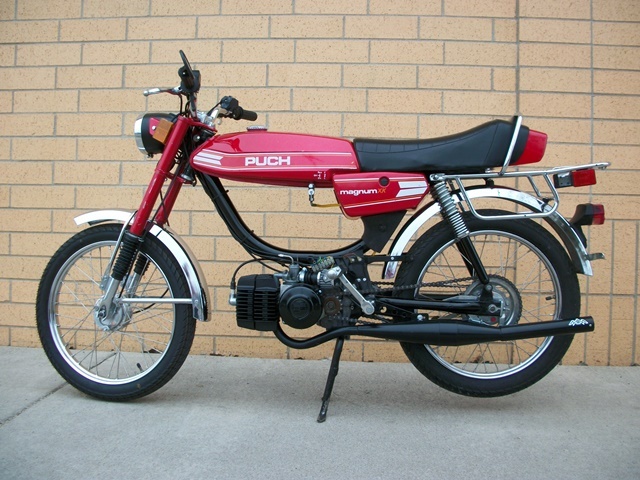 Beautiful reconditioned Puch Magnum! The E50 engine as well as the carburetor have been completely rebuilt on this bike. New tires, brakes and all new cables and wiring have been added as well. We replaced the original handlebars with low rise bars and replaced the headlight to a bullet style to improve the appearance of this moped. Also, by adding a MLM exhaust pipe as well as a high flow air filter, we were able to keep the engine stock while bringing the overall speed up to over 37 mph. 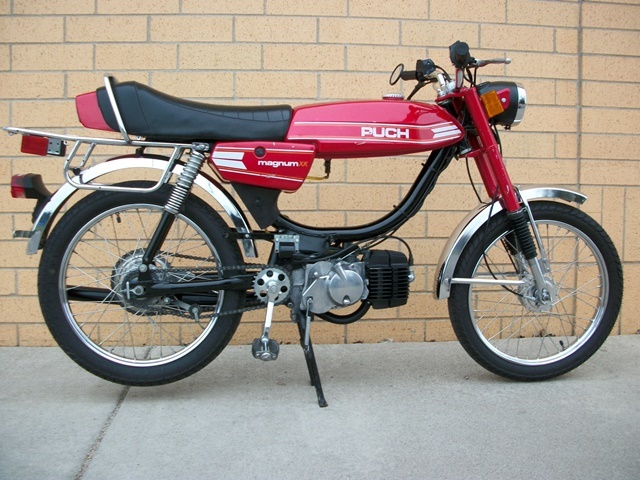 As with all our mopeds, this Magnum comes with a 30 day warranty as well as free delivery to the Minneapolis/St Paul/St Cloud areas.